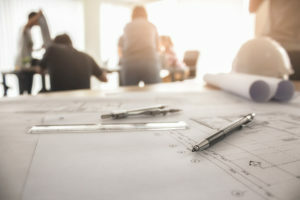 One of the biggest mistakes a company can make is trying to oversee the design and construction of a new office space without the help of an experienced construction management firm. This can lead to unexpected delays that can reduce productivity and lead to expensive cost overruns. If you’re planning an office expansion or move in the Charleston, South Carolina, area, let Relocation Strategies, Charlotte (RSI Charlotte) guide the way. We have the knowledge, experience, and contacts needed to make sure that your project is completed on time and that you are able to stay within your budget. Perhaps most importantly, we will help you find the perfect office space and ensure that it is designed to allow for maximum employee productivity. Additionally, as your single-resource solution, RSI Charlotte will be happy to oversee all other aspects of your project, including the office design and space-planning process as well as the transportation of your office to the new location. We can also help with office furniture procurement and liquidation, the decommissioning of your old office, and much more. Contact Relocation Strategies, Charlotte today if you would like to meet with our experts and learn more about the construction management services we offer to businesses in Charleston, SC, and the surrounding communities.